BOYNTON BEACH, Fla. -A third caretaker is under arrest after police say duct tape was used to restrain a resident on July 3 at Regal Park assisted living facility in Boynton Beach. Sherlie Tesyeux, 28, of Delray Beach is facing a charge of elderly neglect. A detective investigating a report of elderly abuse at the facility said the victim had duct tape on both hands and feet. He said the 67-year-old resident could not say what happened because of her dementia. Lashron Williams and Phygelle Brudent were initially arrested and face charges of elderly abuse and false imprisonment. Tesyeux was reportedly seen in the room where the woman was bound with the tape and never reported the incident, according to a probable cause affidavit. 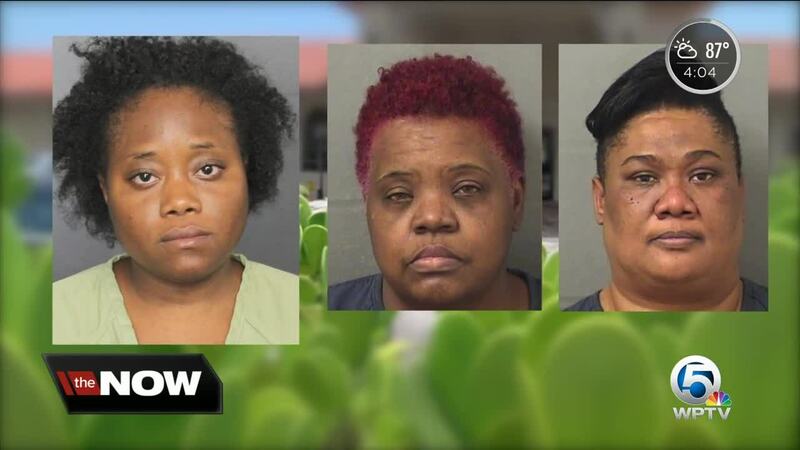 The Broward Sheriff's Office arrested Tesyeux, who is listed as a home health aide, when she returned July 29 from a trip to Haiti, Boynton Beach police said. She has since bonded out of jail. We are taking these allegations very seriously. We are conducting our own internal investigation as well as cooperating fully with appropriate authorities. At this time we have no further information but will make it available as soon as it surfaces. Please understand our first and foremost concern and responsibility is to the continued well-being and happiness of our residents.